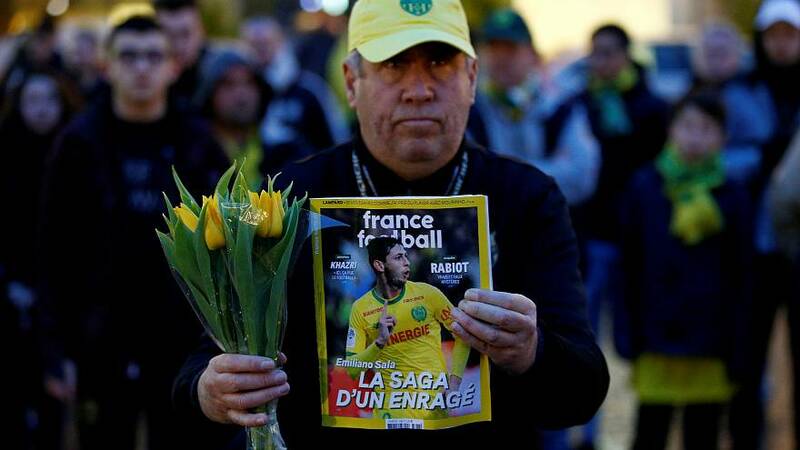 Cardiff FC and FC Nantes appear to be rowing over the payment of the transfer fee for the late Argentinian striker Emiliano Sala, who is believed to have died when the plane carrying him to Wales crashed in the English Channel. The Welsh club told L'Equipe newspaper on Wednesday that Nantes had demanded a €6 million payment for part of Sala's transfer. "The first thing is that the body has not been recovered yet. We must show respect for the family," Cardiff FC chairman, Mehmet Dalman, told the French newspaper. He then added that the club would honour the payment "when we think it's the right time to do." A Nantes FC source disputed the report to Euronews, saying that while Nantes had indeed issued a demand for payment, it had done so on January 21, before Sala's disappearance. The club is said to be considering legal action to ensure the transfer fee is paid. The Argentine striker, 28, had signed a €17 million contract with Cardiff City — a record for the Welsh club. But the plane carrying him from Nantes to Wales disappeared on January 21 near the island of Guernsey. It was found several days later by a privately-funded search operation. Investigators recovered a body from the wreckage on Wednesday but have yet to say whether it is that of Sala or of pilot David Ibbotson. British broadcaster Sky showed footage on Thursday of a body bag being taken from the Geo Ocean III specialist search vessel at Portland harbour and placed in the back of a van. Again, no identification was given by any authority. Gianpaolo Monteneri, a Zurich-based sports lawyer, told Euronews that a legal case would rest on when the contract became effective. Clubs are allowed to add "suspensive conditions" to transfer contracts, which would need to be "cumulatively fulfilled" in order for the contract to become effective, obliging the acquiring club to pay the transfer compensation to the selling club. - The association of the acquiring club receiving from the association of the selling club the international transfer certificate (so-called ITC). Less sophisticated contracts however would become effective as soon as they are signed by all the parties involved and thus trigger the transfer fee payment. What is also possible, Monteneri explained, "is that the acquiring club insures the risk of death and of permanent total disablement of the player in question." "In such event, the acquiring club receives from the insurance company the payment of the amount that was insured" which could be used "for paying the transfer compensation to the selling club," he added. It is unclear whether Cardiff FC and Nantes had worked in suspensive conditions or had confirmed insurance for the transfer.